The Companies Law as amended is applicable to corporate insolvencies. In particular, part 21 of the Companies Law sets out a variety of winding-up procedures: summary winding up (voluntary solvent winding up), creditors’ winding up (voluntary insolvent winding up, which can only be instigated by shareholders rather than creditors) and just and equitable winding up, which is a court-led process. Part 18 of the Companies Law allows for compromises and arrangements to be entered into with creditors or other persons. The Bankruptcy Law applies to both personal insolvency situations and also incorporated bodies. Désastre is the procedure for the winding up of the affairs of a company or individual, and is the only process that can be instigated by a creditor. It is administered by the Viscount, who is an officer of the Royal Court in Jersey. The Companies Law applies to all bodies incorporated under the Companies Law in Jersey. Article 1(2)of the Companies Law specifically states that the Companies Law applies to bodies corporate incorporated outside Jersey but does not include a corporation sole. Certain incorporated associations are excluded, as are Scottish firms, limited liability partnerships registered under the Limited Liability Partnerships (Jersey) Law 1997 and incorporated limited partnerships under the Incorporated Limited Partnerships (Jersey) Law 2011. Article 1 of the Companies Law specifically defines an ‘external company’ as a body corporate that is incorporated outside of Jersey and that carries on business in Jersey or has an address in Jersey used regularly for the purposes of its business. No assets are generally excluded under the Companies Law. For the Bankruptcy Law to apply, the entity or person concerned must have a connection to Jersey. Yes, the Bank (Recovery and Resolution) (Jersey) Law 2017 (Resolution Law) was passed earlier in 2017. However, it is not yet in force and the date for bringing it into effect remains unconfirmed. It reflects the legislation enacted elsewhere, in particular the EU Bank Recovery and Resolution Directive (2014/59) and (in the UK) the Banking Act 2009. Its principal objectives are: to ensure that Jersey can assist a foreign jurisdiction in respect of resolution action being taken on a failing bank conducting business in Jersey; and to deal with the scenario where a bank in Jersey fails and additional powers are needed to resolve the local banking business, either where the home jurisdiction does not take sufficient action or where Jersey is the home jurisdiction of the bank. The Royal Court of Jersey (Samedi Division) is the court of first instance. An appeal lies to the Court of Appeal and onwards to the Privy Council. Permission to appeal is not generally required, save from a procedural decision. There are three relevant mechanisms. A summary winding up under article 145 of the Companies Law is used where the company is solvent. A special resolution must be passed by shareholders, together with a declaration of solvency, which is made by the directors. Once these are filed with the Registrar of Companies, the powers of the directors of the company are then restricted to gathering in and realising assets in order to discharge liabilities through distribution of proceeds. Finally, the directors are required to make a statement that the company has no assets and no liabilities. Upon registration of that statement with the registrar, the company is dissolved. An insolvent company may commence a voluntary liquidation by way of a creditors’ winding up under article 156 of the Companies Law. In spite of the name, this process can only be instigated where shareholders pass a special resolution to this effect. The company must, however, give 14 days’ notice to the creditors of the day on which it intends the special resolution to be considered. Following the passing of the resolution, a meeting of creditors occurs, at which point a liquidator is appointed by the creditors to administer the winding-up procedure. Alternatively, a company may apply under the Bankruptcy Law to have its affairs placed en désastre. The effect of this is to vest the assets of the company in the Viscount, who acts as Jersey’s Official Receiver. A Jersey company (but not a creditor), be it solvent or insolvent, can also apply to the Royal Court under article 155 of the Companies Law to be wound up on the grounds that it would be just and equitable to do so. This court has a wide discretion in such cases to make whatever orders may be appropriate in the circumstances. The usual means of effecting a voluntary reorganisation in Jersey is by way of a scheme of arrangement. A solvent company and its creditors can reach compromises and arrangements by virtue of article 125 of the Companies Law. A company may look to implement a scheme of arrangement as a pre-insolvency procedure, in the hope of avoiding a désastre or a creditors’ winding up. If a 75 per cent majority in number representing 75 per cent in value of the creditors or class of creditors agree to an arrangement or compromise, providing that it is sanctioned by the court, it is binding on all creditors or class of creditors. If the required number and representation of creditors or (as the case may be) members of the company agree to the scheme, then the Royal Court has discretion to sanction the scheme. Such a scheme is binding on all the creditors (or class of creditors) or on all the shareholders (or class of shareholders), as well as on the company itself and, where the company is in the course of being wound up, on the liquidator and all contributories. A scheme is concluded when the court order sanctioning the scheme is filed with the Jersey Companies Registry. It has also proved possible to effect a reorganisation of an insolvent company’s affairs by way of the just and equitable winding-up jurisdiction, but this is an evolving area. Jersey law does not have a specific ‘rescue’ jurisdiction such as administration, although the Royal Court has shown a willingness to fashion creative and flexible solutions where necessary, as noted in question 11. Identifying classes of creditors for the purposes of calling meetings of those classes in the early stages of proposing a scheme of arrangement can pose a challenge. The obvious distinctions are between secured creditors, unsecured creditors and trade creditors. It may also be necessary to draw a distinction between contingent and actual liabilities. It is important that the question is considered in detail at the outset, with expert advice, to avoid the risk of the process having to be re-run. The thresholds of creditor votes required are as set out in question 7. With regard to release of non-debtor parties, this very much depends on the terms of the proposed compromise, arrangement or scheme document itself. An involuntary winding up commences on the making of a declaration by the court under article 6 of the Bankruptcy Law that the debtor’s property is en désastre. An application for a declaration may be made either by a creditor with a claim against the company of not less than £3,000, by the company itself or, in certain circumstances, by the Jersey Financial Services Commission. The application must state that the company is insolvent and that it has or is believed to have realisable assets. On the making of the declaration, all of the company’s property immediately vests in the Viscount. The company may apply to the court for an order recalling the declaration at any time during the course of the désastre, but the court must refuse such an application unless it is satisfied that the property of the company vested in the Viscount is sufficient to pay all claims in full. Once a declaration of désastre has been made, creditors may not commence or, without consent, continue any action to recover the debt. The Viscount is then responsible for determining the validity of creditor claims and realising and distributing the assets accordingly. It is open to a creditor or a class of creditors to apply under article 125 of the Companies Law to propose a scheme of arrangement. As noted in question 7, Jersey does not have a formal ‘rescue’ jurisdiction, and as such there are no formal procedures for pre-packaged or other expedited reorganisations. However, in certain cases the Royal Court has shown itself willing to fashion creative solutions where necessary. For example, in In re Collections Group 2013 (2) JLR N a pre-packaged sale of the business to a third party was effected under the aegis of a joint and equitable winding up. Where insolvent Jersey companies have assets in England, it has also proved possible to bring about the appointment of English administrators by way of a letter of request (HSBC Bank plc v Tambrook Jersey Ltd  EWCA Civ 576). If a particular class of creditors, but not all creditors of the debtor, have been bound by a sanctioned scheme of arrangement, it remains open to another creditor, or class of creditors of the debtor, to take such enforcement action as they wish. This is why due consideration should be given to the classes of creditors, how those creditors are to be split into different classes and calling meetings of the relevant classes (see question 8). If the debtor company becomes subject to a creditors’ winding up, this does not necessarily defeat the scheme. Article 167 of the Companies Law provides that an arrangement entered into between a company and its creditors immediately preceding the commencement of or in the course of a creditors’ winding up is binding on the company if sanctioned by special resolution and on the creditors if acceded to by three-quarters in number and value of them. While creditors will remain bound, it is open to a creditor, within three weeks of the arrangement being approved, to appeal to the Royal Court against the arrangement and the Royal Court may amend, vary or confirm the arrangement as it thinks just. See summary winding up in question 6. In a summary winding up, if the directors’ statement of solvency shows that the company has no assets and no liabilities, the company will be dissolved on registration of the statement. In a creditors’ or just and equitable winding up, following the discharge of any liabilities and the distribution of all remaining assets, each of the directors (or the liquidator if one has been appointed) must sign and deliver to the Registrar of Companies a statement that having made full enquiry into the company’s affairs, he or she is satisfied that the company has no assets and no liabilities. The company will then be dissolved upon registration of this further statement. Under the Bankruptcy Law, when the Viscount has realised all the company’s property or as much as can be realised without, in his or her opinion, needlessly protracting the désastre, the Viscount must supply all creditors and the Judicial Greffier with a report and accounts relating to the désastre and pay the creditors whatever final dividend is due. The Viscount must notify the Registrar of Companies in writing of the date on which the final dividend is paid. The company will be dissolved with effect from the date on which the Registrar receives the notice. Under both the Companies Law and the Bankruptcy Law, a cash flow test is adopted rather than a balance sheet test. Accordingly, the debtor must be unable to pay its debts as they fall due. No. However, see question 17 in relation to the potential liabilities for failing to do so where the company is or may be insolvent. Wrongful trading (article 44 of the Bankruptcy Law): if, before the commencement of winding up, a director of the company knew that there was no reasonable prospect that the company would avoid insolvent winding up, or was reckless as to whether it would do so and failed to take reasonable steps with a view to minimising the potential loss to the company’s creditors, the Viscount or the liquidator may apply to the court for an order that such person (whether or not he or she is still a director of the company) should be personally responsible for all or any of the debts or other liabilities of the company arising after the relevant time. Fraudulent trading (article 45 of the Bankruptcy Law): if, on an insolvent winding up, it appears to the court that any business of the company has been carried on with intent to defraud creditors of the company or of any other person, or for a fraudulent purpose, the court may on the application of the Viscount or the liquidator order that any persons who were knowingly party to the carrying on of the business in that manner should be liable to make a contribution to the company’s assets. A director who signs a certificate delivered to the Registrar of Companies as is required for the purposes of the winding-up procedure under the Companies Law without having reasonable grounds for believing that the statements in it are true is guilty of an offence. The promoters, officers and employees of the company (and the officers and employees of any other company who were officers of the company within one year of the commencement of winding up) are also under a duty to cooperate with the liquidator of the company in a creditors’ winding up. Failure to do so without reasonable excuse is an offence punishable by a fine or imprisonment for up to six months. A company whose property is en désastre must supply the Viscount with such information and do everything possible to assist the Viscount in the realisation of its property and the distribution of the proceeds among its creditors. Failure to comply is a criminal offence and the company and any officer or manager of the company to whom the failure is attributable will be liable to a fine or six months imprisonment. Where a company is en désastre, it is an offence: to fail to keep proper accounts in respect of any business carried on by the company for the two years prior to the commencement of winding up; to fail to appear before the Viscount on a summons; and to obtain credit in excess of £250 without disclosing to the intending creditor the fact that the company is en désastre. The Attorney General and the Minister for Economic Development have power to apply to the court for an order that any company director be disqualified from acting as a director if his or her conduct in relation to the company makes that director unfit to be concerned in managing a company. Disqualification may be for up to 15 years. A person who acts as a director while disqualified is guilty of an offence punishable by imprisonment for up to two years or a fine and may be declared personally responsible for the debts of any company of which he or she acts as a director while disqualified. Directors of a company that is, or is near to becoming, insolvent will be held to owe a duty to safeguard the interests of the company’s creditors. The precise point at which this occurs will depend on the circumstances of each case. Article 149(2) of the Companies Law states that in a summary winding up on the appointment of a liquidator the directors cease to be authorised to exercise their powers in respect of the company and those powers may be exercised by the liquidator, subject to any contrary provision in the relevant resolution. Article 163(2) of the Companies Law states that on the appointment of a liquidator in a creditors’ winding up, all of the powers of the directors cease, except insofar as the liquidation committee (or, if there is no committee, the creditors) sanction their continuance. During the period prior to the appointment of the liquidator, the powers of the directors should not be exercised other than with the sanction of the court, to facilitate a meeting of the creditors or to protect the company’s assets. Leave of the court is required to commence or to continue legal action against a debtor that is en désastre, or that is subject to a creditors’ winding up. There is no concept of corporate rescue in Jersey that would allow a business to continue to trade once a creditors’ winding up under the Companies Law has commenced or a declaration en désastre under the Bankruptcy Law has been made. In exceptional circumstances it may be possible to bring this about under the just and equitable winding-up procedure, or by way of a letter of request to the English Court to appoint administrators, as noted in question 11. It is an offence under article 25 of the Bankruptcy Law to obtain credit in excess of £250 without disclosing to the intending creditor the fact that the company is en désastre. In désastre proceedings, the Viscount has extensive powers to deal with the assets of the debtor, including a power to carry on the debtor’s business for beneficial disposal and to sell the whole or any part of the property of the debtor. On the sale of immovable property by the Viscount during désastre proceedings, all hypothecs (charges) secured against it are extinguished, but the holders of the hypothecs have preferential rights in relation to the sale proceeds. In the context of a creditors’ winding up or désastre proceedings, the liquidator or Viscount as appropriate would have discretion to consider other offers or bids, notwithstanding that negotiations had been entered into with a prior bidder for the assets of the debtor. The liquidator or Viscount would seek to achieve best value upon any sale for the benefit of creditors and as such, would consider better offers received. 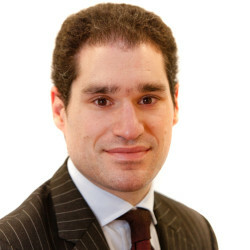 In terms of credit bidding, there is nothing to prohibit this, although previous cases that have come before the Jersey courts focus on arm’s-length sales to unconnected third parties rather than credit bid scenarios. In general, the approach has been to obtain an initial valuation by an appropriately qualified professional and to market the property or assets at the estimated price. This approach has been neither endorsed nor criticised by the Jersey courts. In a credit bid scenario where a sale may be to a connected entity or affiliate, the standard required of the secured party is likely to be higher than in an arm’s-length transaction. The principal issue here will be one of valuation, as it is important to demonstrate a thorough and robust assessment of the market. The liquidator in a creditors’ winding up may, within six months after the commencement of the winding up, by the giving of notice to each person who is interested in or under any liability in respect of the property disclaimed, disclaim on behalf of the company any onerous property of the company. Onerous property is defined at article 171 of the Companies Law to mean movable property, a contract lease or other immovable property situated outside Jersey that is unsaleable or not readily saleable or is such that it may give rise to a liability to pay money or perform any other onerous act. It therefore follows that contracts for immovable property situated in Jersey cannot be disclaimed. A disclaimer operates so as to determine, as from the date of the disclaimer, the rights, interests and liabilities of the company in or in respect of the property disclaimed and discharges the company from all liability in respect of the property as of the date of the commencement of the creditors’ winding up. A person sustaining loss or damage in consequence of the operation of a disclaimer shall be deemed to be a creditor of the company to the extent of the loss or damage and accordingly may prove for the loss or damage in the winding up. If a licence to use IP provides that in the event of the licensee entering a formal insolvency process, such as a creditors’ winding up or a désastre, the licence is immediately terminated, or the licensor has the right to terminate the licence, then it is possible the debtor will lose the right to continue to use the IP upon entering such a process. Such a provision is, however, likely to offend the anti-deprivation principle and may therefore be open to challenge. There is no specific Jersey authority on the point, but the above would be consistent with the Jersey insolvency regime. In a reorganisation or restructure of the debtor, on a solvent basis, it is likely that the licensee debtor will retain the ability to continue to use the IP for the purposes of its trade. If use of the IP is key to the continued trading activities of the debtor, it is likely the debtor will be keen to retain the use of this valuable asset. One of the main benefits of a scheme of arrangement is a lack of publicity and as such, it is possible a ‘business as normal’ stance could be adopted by the debtor and there may be no need to discuss the reorganisation with the licensor (subject, of course, to the licensor not being a creditor of the debtor or indeed to the method or reorganisation used). Arbitration is not used in liquidation or reorganisation proceedings in Jersey. Unsecured creditors are able to pursue judgment against a debtor in the same manner as a secured creditor and are not restricted from doing so. As such, the time frame involved will be the same for both secured and unsecured creditors to obtain a judgment. At the enforcement stage, an unsecured creditor may, of course, find it harder to satisfy their judgment debt. In terms of interlocutory remedies, any creditor can seek to obtain a freezing order against the assets of a debtor if it can satisfy the court that it is appropriate to do so. Alternatively, a caveat may be lodged with the court against a particular debtor to prevent him or her from transacting in relation to immovable property. An ordre provisoire could also be sought, which involves the seizure by the Viscount of the debtor’s assets. If a company has passed a resolution for a creditors’ winding up, or is deemed to have done so, the company must within 14 days give notice of that fact by advertisement in the Jersey Gazette. Not less than 14 days before the meeting at which the resolution for a creditors’ winding up is to be proposed, the company must give notice to creditors that a meeting of creditors will be held in Jersey on the same day as, and immediately following the conclusion of, the company meeting. Such notice must also be given by advertisement in the Jersey Gazette not less than 10 days before the meeting. During the period before the creditors’ meeting, the company must furnish creditors free of charge with such information concerning the company’s affairs as they may reasonably require. The directors shall make out a statement as to the affairs of the company, verified by affidavit by some or all of the directors; lay that statement before the creditors’ meeting; appoint a director to preside at that meeting, and the director so appointed shall attend the meeting and preside over it. Either the company or the creditors may nominate a liquidator; the choice of the creditors overrides that of the company. Article 162 of the Companies Law allows a creditors’ meeting to appoint a liquidation committee consisting of not more than five persons. If a committee is appointed, the company may, in general meeting, appoint such number of persons not exceeding five as they think fit to act as members of the committee. The creditors may, however, resolve that all or any of the persons so appointed by the company ought not to be members of the committee. On an application to the court, the court may also appoint other persons to act as members in place of the persons mentioned in the resolution. The liquidation committee has oversight of the liquidator’s functions and sanctions certain of the liquidator’s activities as well as determining the liquidator’s remuneration and the manner in which documents should be disposed of following dissolution of the company. There is no specific authority on the point. However, in our experience it is usual in these circumstances for the creditors to agree to fund the costs of the liquidator, so that the liquidator may pursue claims accordingly. The fruits of the remedies will depend on the terms of such an agreement, which may also need to be blessed by the court. All debts and liabilities, present or future, or contingent, to which the debtor is subject at the time of the declaration, or to which the debtor becomes subject before payment of the final dividend by reason of any obligation incurred before the time of the declaration, shall be debts provable in the désastre. In the case of a debt which, by reason of its being subject to any contingency or contingencies, or for any other reason, does not bear a certain value, the creditor shall make an estimate of its value. Every creditor shall prove the creditor’s debt at the time and in the manner prescribed by the court. If the Viscount rejects proof of a debt in whole or in part, the Viscount shall serve notice of rejection in the manner prescribed by the court on the person who provided the proof. If the Viscount rejects a statement opposing admission of a debt in whole or in part, the Viscount shall serve notice of rejection in the manner prescribed by the court on the person who provided that statement. If a person upon whom notice has been served is dissatisfied with the decision of the Viscount and wants the decision reviewed by the court, he or she must, within the time prescribed by the court, request the Viscount to apply to the court for a date to be fixed for the court to review the decision. Article 34 of the Bankruptcy Law provides for set-off where there have been mutual credits, mutual debts or other mutual dealings between the debtor and a creditor such that the balance of the account, and no more, shall be claimed or paid on either side. This is a mandatory rule. The court does not possess jurisdiction either under the Companies Law or the Bankruptcy Law or otherwise to change the rank of a creditor. in payment of all other debts proved. Employees will be entitled to notice and potentially statutory redundancy pay upon termination, as well as any accrued but untaken annual leave. The Employment (Jersey) Law 2003 sets out the minimum statutory entitlement to all three. Where an employer is proposing to dismiss as redundant at one establishment 12 or more employees, such dismissals taking place within a period of 30 days or less, then there is a duty to collectively consult for at least 30 days before the first of the dismissals takes effect. In addition, there is a further obligation to notify the Minister for Social Security in respect of any such dismissals. Where a complaint is well-founded, the Tribunal will award four weeks’ pay. Employees who have been terminated in such circumstances may be able to make a claim for Insolvency Benefit of up to a maximum of £10,000, in respect of unpaid wages, holiday pay, statutory redundancy pay and notice. No specific remedies exist; such claims will rank with the other unsecured creditors. No. However, claims may be revived if a company is reinstated to the register, which can take place at any time within 10 years of the date of dissolution by order of the court upon application by a liquidator or any other person (including a creditor) appearing to the court to be interested. Upon reinstatement, the company is liable to claims as if it had not been dissolved. The Companies Law requires a liquidator to apply a company’s property (or proceeds from the sale thereof) in a winding up on a pari passu basis in order to satisfy the company’s liabilities. The timing and manner of distributions is determined by reference to the terms of the liquidator’s appointment. Where the debtor is en désastre under the Bankruptcy Law, the Viscount is required to transfer the assets or distribute the proceeds of sale to the creditors as soon as practicable, which may entail interim distributions being made. Security over immovable property in Jersey is taken by way of one of three varieties of hypothec (mortgage). A legal hypothec is relatively rare and arises by operation of law. A conventional hypothec is created by agreement between two or more parties as to the granting and taking of security expressed in the form of a contract passed before the Royal Court. A judicial hypothec occurs when an Act of Court acknowledging debt of a defined sum (for instance, monies advanced by a bank to purchase a property) is registered in the Jersey Public Registry. The latter is the usual form of mortgage in Jersey. Other than in relation to ships, the only method of creating security over tangible movables in Jersey is by way of pledge. Specific charges or chattel mortgages do not exist in Jersey. To pledge property there must be actual physical (as opposed to constructive) delivery of the tangible movable property pledged into the creditor’s possession. There is a right of retention. As a matter of customary law (absent any Jersey judicial authority on this point) the creditor should have an implied right of sale when the grantor is in default and there is likely to be an express power of sale in the pledge document. In terms of formalities, the security is created by the delivery of tangible movable property by or with the grantor’s consent. The principal types of transactions that can be set aside in liquidations are extortionate credit transactions, transactions at an undervalue and preferences. The court may, on the application of the liquidator in a creditors’ winding up, set aside or vary an extortionate credit transaction entered into within three years of the commencement of the winding up or order a party to the transaction to make payment to the liquidator or surrender property to him or her. A credit transaction is deemed to be extortionate unless it can be proved that its terms were not such as to require grossly exorbitant payments to be made in respect of the provision of the credit and that it did not otherwise grossly contravene ordinary principles of fair dealing. A company is deemed to enter into a transaction at an undervalue if it makes a gift to any person or enters into a transaction with a person on terms for which either there is no ‘cause’ or the value of the ‘cause’ given by the other party is significantly less than the value of the ‘cause’ provided by the company (‘cause’ is analogous to but somewhat wider than the English concept of consideration). A company gives a preference if it does anything or allows anything to be done that has the effect of putting one of its creditors or a surety or guarantor for any of its debts or other liabilities into a position that, in the event of insolvency, would be better than would otherwise have been the case (and where there was an intention to achieve such an effect). If a company has entered into a transaction at an undervalue during the five years immediately preceding the date of the winding up, and at that time the company was either insolvent when it entered into the transaction or it became insolvent as a consequence of the transaction; or has given a preference to any person during the 12 months immediately preceding the date of the winding up, and at the time the preference was given the company was insolvent when it entered into the transaction or it became insolvent as a consequence of the preference, then the Viscount or the liquidator (as appropriate) may apply to the court for an order setting aside the transaction or preference. No, under the Bankruptcy (Netting, Contractual Subordination and Non-Petition Provisions) (Jersey) Law 2005 the effects of contractual subordination provisions are protected. A contractual right of recourse is required in the form of a guarantee, third-party security or other agreement allowing the creditor to pursue a parent or affiliated party of the debtor. Save for in exceptional circumstances where pooling is deemed appropriate (see below) group company assets would not otherwise be available to meet the liabilities of the debtor company. Guarantees are, however, commonly used in Jersey. No statutory provisions exist for the combination of parent and subsidiary companies’ assets into one pool for insolvency purposes. That said, the Royal Court has made orders pooling the insolvent estates of companies in circumstances where it would be impossible, impracticable and disproportionate to seek to identify individual rights and to unravel asset and liability positions between the companies, and when it is in the best interests of the creditors for there to be such a pooling. Some schemes that have the effect of consolidating the assets of a group have in certain circumstances been approved by the Royal Court where the interests of creditors so require. Certain foreign judgments may be registered in Jersey under the Judgments (Reciprocal Enforcement) (Jersey) Law 1960 if they originate from one of the following jurisdictions: England & Wales, Scotland, Northern Ireland, the Isle of Man and Guernsey, after which they are enforceable as if they were a domestic judgment. Judgments from other jurisdictions may be enforced by way of a fresh action in Jersey. There is no distinction between the manner in which foreign creditors and Jersey creditors are treated under either the Companies Law or the Bankruptcy Law. There is no Jersey authority on the issue, and accordingly at present it is assumed that this is not possible in Jersey. The COMI concept does not exist in Jersey law. The Companies Law applies to all companies incorporated in Jersey. The Bankruptcy Law applies to all companies incorporated in Jersey or that have carried on business in Jersey in the preceding three years, or that own immovable property in Jersey. Under article 49 of the Bankruptcy Law, the court may assist the courts of designated territories (presently the United Kingdom, the Isle of Man, Guernsey, Finland and Australia) in all matters relating to the insolvency of any person or entity. The court has power, on receiving a request from such a country for assistance, to exercise any jurisdiction that either it or the requesting court could exercise if the matters in respect of which assistance is requested fall within its jurisdiction. For other jurisdictions, the Jersey court may agree to assist under its inherent jurisdiction and under principles of comity, on a case-by-case basis. For a good recent illustration of this, see Smith v Nedbank Wealth  JRC 156, which concerned an application in Jersey by a US Trustee-in-Bankruptcy for a disclosure of documents by a Jersey financial institution. The dominant trend remains that of the willingness of the court to overcome such constraints as may exist in Jersey’s insolvency system (for example, the absence of a dedicated ‘rescue’ jurisdiction along the lines of administration) by fashioning flexible solutions. These include the use of just and equitable winding up or the issuing of a letter of request for the appointment of insolvency practitioners in England or elsewhere. One particularly hot topic is that of insolvent trusts (which is to say, trust structures where the liabilities exceed the assets, but where under the law of Jersey the trustee is not personally liable to make up the shortfall). The decision in The matter of the Representation of Rawlinson & Hunter SA  JRC119 has shed new and important light on the ranking of competing creditor claims in an insolvent trust. The newly introduced Companies (Demerger) (Jersey) Regulations 2018 are also likely to facilitate new options for restructuring. Our Insolvency & Restructuring lawyers have a wide range of expertise, enabling us to provide clear, sound and timely advice on the full spectrum of contentious and non-contentious insolvencies and restructurings.